Our dedicated and vibrant volunteers are highly motivated and appreciated, and they are our most valuable resource. The intake process can take several months. Please be thorough in completing the application. This information is used to select potential volunteers for an interview. 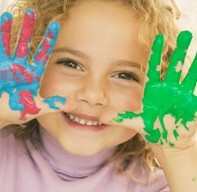 We provide volunteer support for BC Children's Hospital, and Sunny Hill Health Centre for Children. Our department is responsible for the recruitment, selection, and assignment of volunteers for a variety of patient and service-based areas within these facilities. Our vision is to improve the health of children, youth and women by working with partners, including community partners like volunteers, to ensure access to the best health care in the best setting. At each of the facilities, volunteers contribute greatly to the hospital experience of families. The role of Volunteer Resources is to provide volunteer support to the programs and services offered by the hospital and health centre. This support is intended to augment and supplement existing services providing for the psycho-social, emotional, and developmental needs of patients and their families. Volunteers do not perform the functions of paid professional staff. The Sunny Hill Auxiliary is a group of volunteers whose purpose is to add to the comfort, ease and welfare of children, youth and their families at Sunny Hill Health Centre for Children; to raise funds for this purpose, and to foster good relations between Sunny Hill and the community. Through fundraising, the Auxiliary is able to offer financial support for existing programs and patient comfort or finance new programs and equipment. We encourage all volunteers to join the Auxiliary. Call Sunny Hill at 604-453-8331 or email the Volunteer Coordinator. Apply to become a Sunny Hill Volunteer!